DVA’s new Butterfly Discs represent a new technology that allows the efficient cutting and contouring of both precious and non-precious metals and all ceramic materials, including lithium disilicate and zirconia. 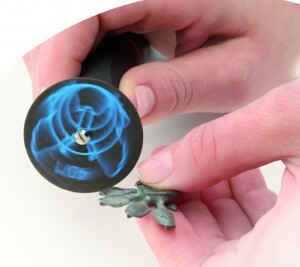 This new technology offers benefits not found in traditional ceramic or metal finishing discs. DVA’s Purple Butterfly Diamond Discs represent a totally new technology which allows efficient cutting, shaping and contouring of all ceramic materials, including porcelain, Lithium Disilicate and Zirconia. This fine working instrument transitions efficiently between the cutting of ceramic sprues and then contouring anatomical shapes without changing to other discs or burs. The non-metallic design is composed totally of diamonds, which eliminates the concern of imparting pesky black marks into the restorative material. While this disc is diamond through and through, it offers an efficient cutting and shaping all the way down to the shank. For convenience, the Purple Butterfly discs are available in three thicknesses. DVA would highly encourage the viewing of its product demonstration video. DVA’s Orange Butterfly Discs represent a new technology in ultra-thin cut-off, shaping and contouring discs designed for both precious and non-precious alloys. 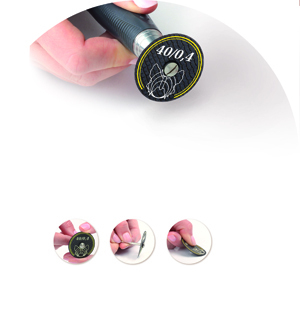 This new design offers benefits not found in traditional cut-off discs; such as, they allow the technician to cut, shape, and contour with the use of one disc.These discs offer such a high-degree of durability and flexibility that they provide efficient working actions without prematurely damaging or breaking the disc under the slightest stress. The increased flexibility also allows the technician to cut curved lines in both alloy or stone. Our customers have reported these discs efficiently cut nearly 10 times the number of sprues cut with a traditional separating disc. 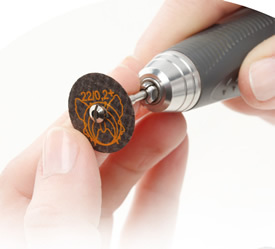 The Orange Butterfly discs are so versatile they allow the cutting of sprues, optimizing embrasure formation and the shaping of metal frameworks without using a large variety discs or burs. 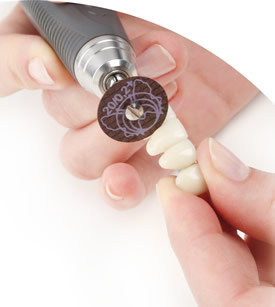 Also, with veneers the separation of dies where contacts and margins may be too close to adjacent enamel can be greatly simplified when utilizing the durability and flexibility of an Orange disc. For convenience, the ultra-thin Orange Butterfly disc is available in two diameters. DVA would highly encourage the viewing of its product demonstration video. We are all familiar with the limitations of traditional cutting and grinding discs.That’s why Dental Ventures of America has introduced two additional discs specifically designed to easily cut sprues and grind all-types of restorations fabricated from non-precious alloys. The Yellow/White Butterfly offers durability and cutting efficiency that far exceeds those traditional sprue cutting discs currently on the market. Our customers have shared that one of our semi-flexible Yellow/White Butterfly discs last up to ten times (10 x) longer than other discs currently being used. This translates into saving time by not having to change the broken traditional discs as frequently as they break prematurely. This disc offers flexibility and durability such that the technician will be able to use the disc efficiently, all the way down to the shank. The Blue Butterfly disc offers a unique ability to grind away small or large amounts of excess alloy from a non-precious framework or coping very easily and safely. The Blue Butterfly is also very rigid and offers long-term use per disc.